Flying Lessons: Beijing to EU, Did Somebody Say Trade War? Beijing to EU, Did Somebody Say Trade War? There's something about the frequency with which the expression, "trade war" was used this week at the meeting of the International Air Transport Association, that led me to believe this particular form of saber rattling was 100% intentional. Of all the issues troubling the world's airlines, the unilateral imposition of an emission tax scheme by the European Union seems to be the one razzing them the most. "The extra-territorial EU Emissions Trading Scheme is not a stepping stone on the way", to a comprehensive policy for dealing with airplane emissions," Tony Tyler, the association's director general said in a speech at the meeting. "It's a polarizing obstacle that is preventing real progress." 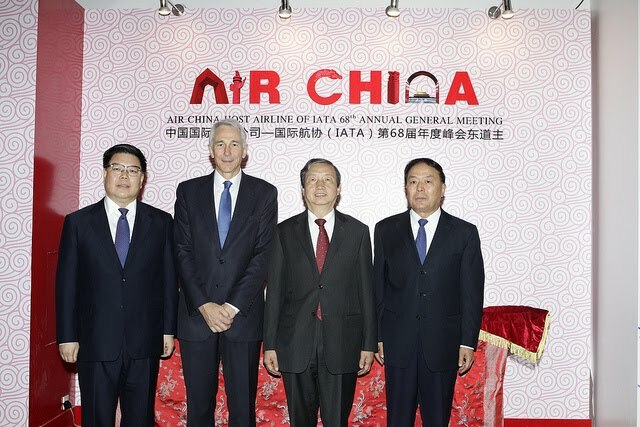 China, host to this year's get-together of more than 700 commercial aviation executives, has in fact already fired a shot followed by a second shot this week in the "trade war" the airline association says it is trying so hard to avoid. China cancelled orders for $14 billion worth of Airbus airliners in March, Reuters reported, targeting specifically the purchase of 55 large widebodies capable of servicing routes from China to Europe. Then even as Tyler was still in Beijing the China Air Transport Association warned the Europeans if the government there even tries to penalize China for failing to comply with the emmissions regulations, it will impound European airliners on Chinese soil. It doesn't take a degree in political science or economics to see what the game is here; put pressure on the European lawmakers by pressuring their own plane makers and airlines. Well played. 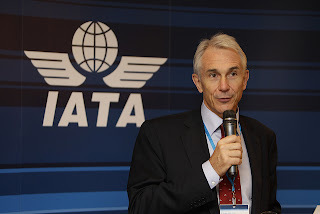 The larger strategy has IATA touting a resistance movement it calls the "coalition of the unwilling", which consists of a group of thirty united in common opposition to the EU's plan to begin charging an emission tax in April 2013. Airlines are whining, begging, pleading, politicking, lobbying and yes, even threatening the EU to hold off until the International Civil Aviation Organization has time to discuss the subject on a global level. Here's the problem. 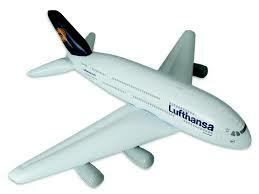 ICAO won't meet until September 2013, five months after the EU collection goes into effect. ICAO may be many things but nimble it is not. One can hardly blame the Europeans or the Chinese any other nation for not wanting to wait around for ICAO to take the lead. What makes any emissions tax questionable is that other factors are likely to be more effective in incentivizing airlines to go green; 1) the price of fuel and 2) the financing of airplanes. As jumbo-sized consumers of gas, any airline that can afford to buy more efficient airplanes is already doing so. Thanks to new airline financing, more airlines can afford to. Carriers in the developing world that used to fly gas-guzzling, first world cast-offs don't need to do that anymore. If environmentally conscious government leaders want to get ahead of the curve on a soon-to-be-pressing issue, they'll leave airplane emissions to the industry to solve and turn their attention to making sure there is a responsible plan for handling those discarded airliners. There could be many thousands of them in the bin, very shortly. The airline industry makes much of its role as an engine of economic growth. IATA made that point repeatedly this week in booming China's capital city of Beijing, one of the most polluted cities in the world. Smog blankets Beijing on a recent day. The smog here, sometimes thick enough to ground airplanes, is not the fault of aviation, its due to automobiles and factories. But it is a stop-and take-a-breath-reminder that economic development must be done right. That's a lesson for every industry and every government regulator as well. China has a lot of leverage over Europe that goes beyond aircraft orders. Europe needs chinese liquidity to cover some of the Eurozone debt financing. Europe blatantly came out and announced that proceeds from the ETS will go to general budgets, it is only a recommendation to use proceeds to finance environmental or aviation related projects. China has taken the hardest position so far, but from a traffic point view China is a growing market but not yet a very significant portion for Europe, so EU ETS and aviation officials don't seem to be overly concerned, or they are looking for a face saving formula out of this problem. Otherwise we are in for a massive game of chicken. I cannot understand why anyone should give the ETS legitimacy. It is either extortion or stupidity, I am not sure which is worse. Who is more dangerous, a crook or an idiot? It's one thing for the EU to target flights within "the Continent" where there is alternative rail service, but what's the alternative from NY to London? Take the QE2, I guess. It has been said many times before, currently there are no practical alternatives for aviation fuel, period. Bio fuels are a great "science project", but cannot deliver the quantities needed and anywhere near an acceptable price. Anywhere from 7 to 9 times the price of traditional jet fuel is not acceptable. Similarly, economics, not taxation will cull the industry of the few remaining old technology jet transports. Conversely, in the trucking industry and other users of large diesel engines, the private sector is designing and using new technology to exploit the benefits of natural gas. Without the diesel engine the civilized world would starve to death. The solution for ETS is the same as for the crook or idiot, restrain or lock them up before they hurt themselves or anyone else.